So, after The Romantics I started to re-read one of my favorite series, The Heir series by Cinda Williams Chima. There are 5 books in the series that I know of, and they are all AWESOME! So, I decided to get more books by her. I checked out a book called Flamecaster that she wrote. It was a different style than what she usually writes, but it seemed kind of bland. It was as if she reused story ideas from the Heir series, but buried them in battles, romance, and politics. And the character interactions seemed to be the same. So while it felt like the Heir series buried under a plot, I still like it and hope there are more in the Heir and Shattered Realms series. Me and my partner (you can find her page here http://chesirecat.booklikes.com/) have some definite differences on our blog posts. I tend to write more long posts that have a lot to take in. She tends to update with posts that are short, and to the point. She also loves romance novels way more than I do. 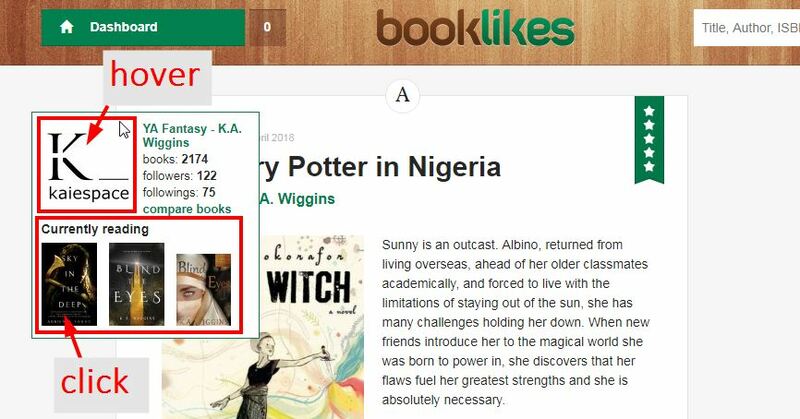 One way that I use Booklikes as a way to find books is by following people. If you find friends that have the same interests in books as you do, look on their page. They are bound to have a book on there that you have not read yet. And if they are great posters, they will give a summary and rating of the book that can influence your choice on picking a new book. I have used this to find about three books so far! It has helped me so much in finding new books! You guys should try it! I cant wait to find more! We're always looking for new books, new authors, new recommended reading. And we're always happy to look at your blogs and shelves, after all, who's better in recommending books than book lovers and bloggers?! 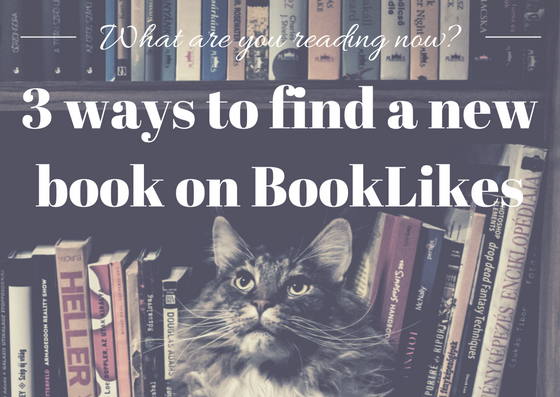 Here are three places to find a new book on BookLikes. 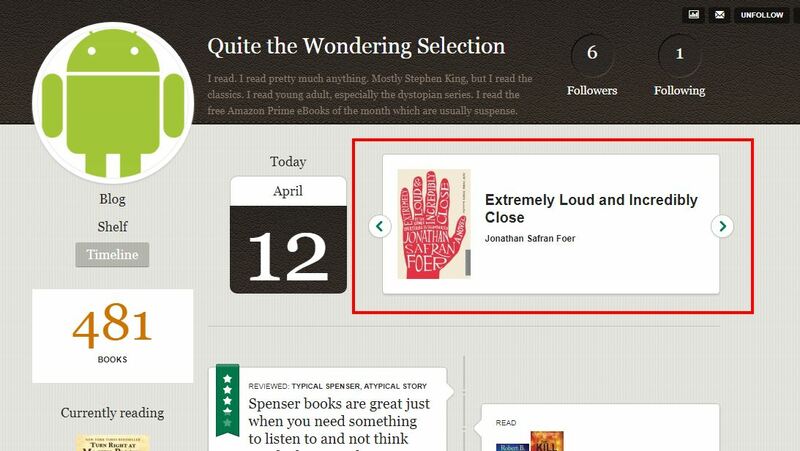 Your Dashboard is your bookish feed with your friend's reviews and bookshelf updates. Sometimes, however, you may overlook what titles have been picked up by bloggers you're following. Then all you have to do is to hover over the avatar on your Dash and to sneak peek into your friend's currently reading shelf. In order to have new bookish actions and reviews on your Dashboard, follow new bloggers. You can find them via the Book Catalog page (click the book cover and find new reviews on the book pages) and the Book Explore (click the blog title to visit the blog). To follow new blogs remember to click Follow in the upper right corner once on the blog page. When you visit a new blog page, remember to take a look at the Timeline. 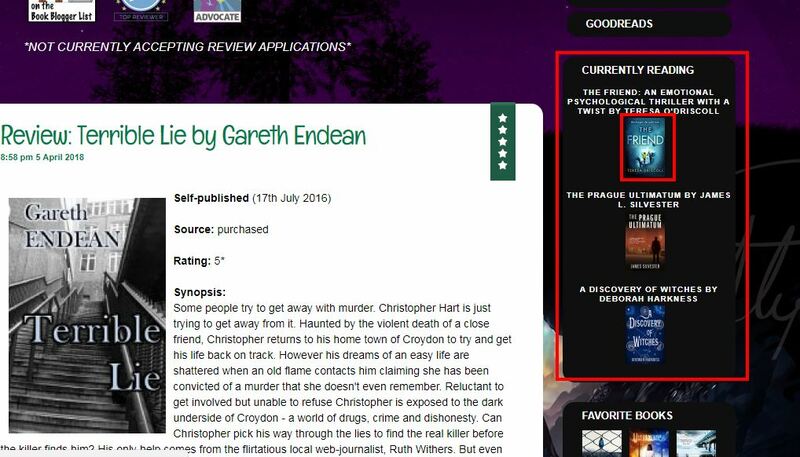 It's a graphic representation of the blogger's BookLikes actions and a nice overview of what the person is reading. The books with currently reading status are on the top. Click the cover to +Shelf/+Post the book. Did you know that all BookLikes blogs present books from the blogger's currently reading shelf? Make sure to search the currently reading boxes in the right or left column (depends on the blog layout) once you visit your friends' blogs. Looking for more BookLikes how-to and tutorial posts? Click HERE to view our tutorials and make sure to follow BookLikes blog to view our news on your Dashboard. P.S. The e-mail notifications are under reviews. We're working to bring them back ASAP. Sorry for any inconvenience. I finished the book about 2 weeks ago. And again I have to say, that I loved it. I wish the book was longer, or their was a sequel. The book kind have had an open ended, with a boy that was heartbroken. So I would love to see a story from his view (well Love's view, but about him). I would have to say that the book definitely gives you very little. I loved the book, and the writing style, but there wasn't enough pages. I feel like the author could have kept the book going, or added a lot more scenes to the book. Maybe I'm just used to long books that overly describe things. I don't know. All I know is, the book was great and I want MORE! There isn't a lot of public information on the author. There is no Wikipedia page on her, and her official website (https://leahkonen.com/about/) does not offer much information about her life. Though there is one mention of her being a romantic on the inside cover of The Romantics. It says that she became a Romantic while writing the book, but we can only imagine why she feels this way. She is married, and some scenes from the book might have been influenced by her own relationship. We can hope and dream that she might explain how or why she came up with the book in a later time. Or maybe a website will reveal more about her. Even without an explanation about the book, it's a great read and the author should definitely get a better website or a Wikipedia page! "I am Love. Your trusty narrator. Frequently referenced, usually misunderstood. Often imitated, never duplicated- that kind of thing." I know, I know. This is on the first page of the book! Even though its on the first page, don't get mad at me! It's honestly a good quote that explains Love. How even though it exists everywhere, it isn't well known. And it is often imitated under false pretenses, but true love can never be duplicated. 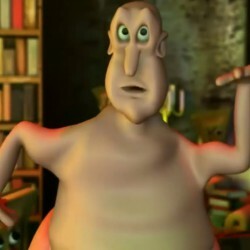 I am the Globgoglabalab. I love books, and this website is a true treasure trove. I am not too into romance books, biographies, or any history books. Unless the topic is war. I love fantasy, adventure, and mystery books. The thicker they are, the better. I am into Cinda William Chima, Rick Riordan, J.K Rowling, and many others! I also love reading about mythology, and other religions other than Christianity. 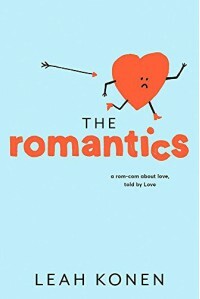 I am going to read The Romantics by Leah Konen. We were instructed to pair up with someone for a book project. My partner forced me to read a romance book. I had heard good things about The Romantics so I chose that book. Our Liberian book talks books to us, by reading us summaries. In February, she pitched us The Romantics. I hope it goes well, and I will post more in the future!